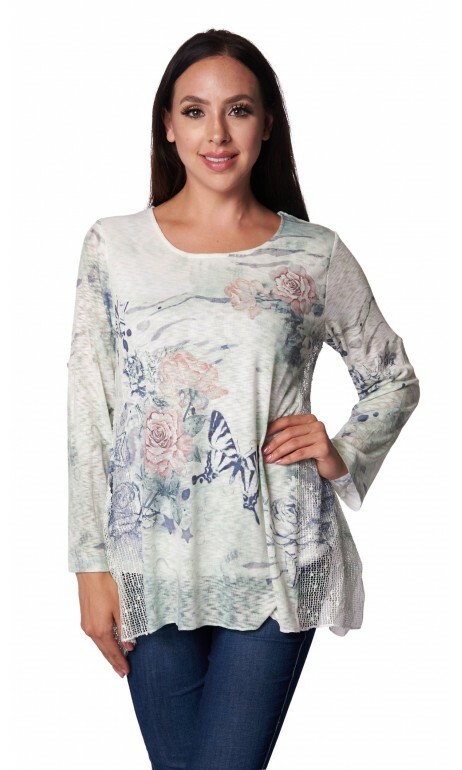 Beautiful tunic the floral butterfly of the new Spring / Summer Creation collection. Round neckline. Net in the back and on the sides. Long retractable handle with a button. Beautiful light green color and soft. Small multicolored brilliants on the front of the print. 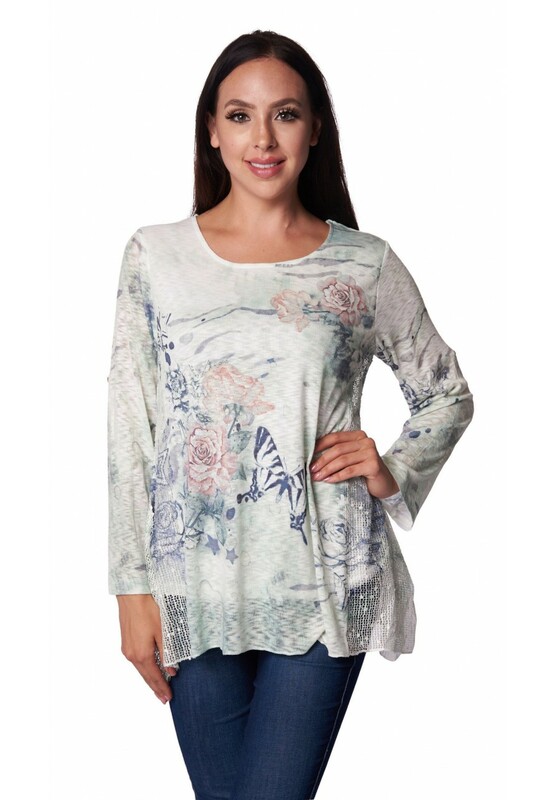 Available in sizes small to 2 x-large. By buying this product you can collect up to 4 loyalty points. Your cart will total 4 loyalty points that can be converted into a voucher of 0,40 $ CAD.